One of my former coworkers at Jeonju University is now living in Seoul with his wife who is a lawyer there. 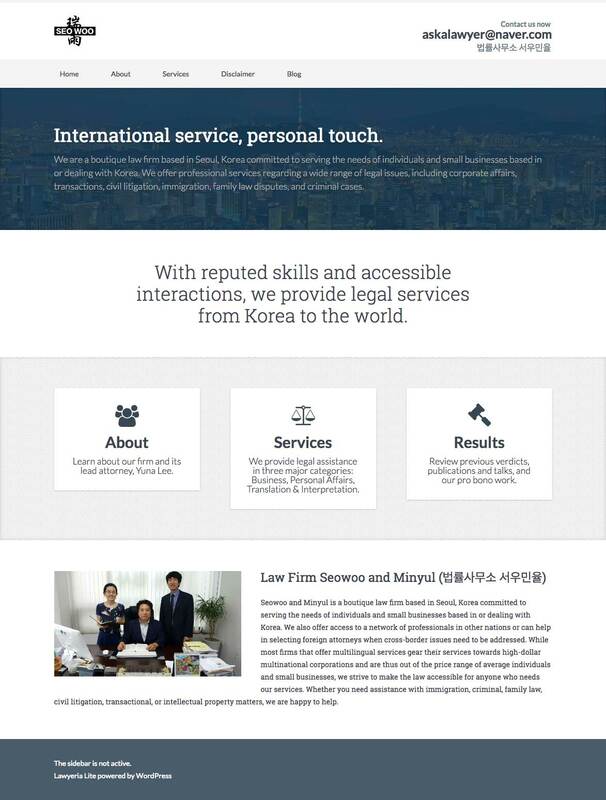 She started a Blogspot website back in 2014 to answer legal questions from expats that was called “Ask A Korean Lawyer.” They also published articles in the Korea Herald, Groove Magazine, and on my own Key To Korean website as well. One of the main concerns was to maintain good SEO and not lose the traffic they’d built up on the previous blog. 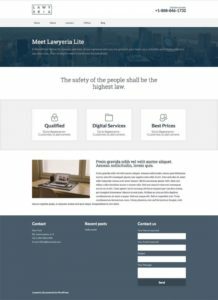 After asking a number of questions and getting a good feel for the kind of site design they wanted, I decided to build the site using the Lawyeria Lite template. I customized the design slightly and added all the content they provided. In addition to the website, I also updated their (pixelated) logo to add to the site and make it more modern. 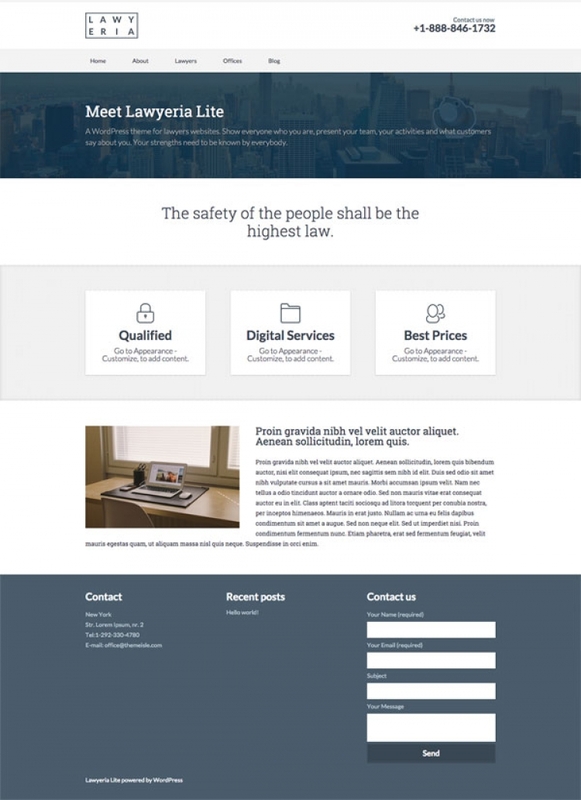 This would help them avoid any loss of traffic and maintain their Search Engine Rankings as they wanted. The following images compare the new blog with the old one.